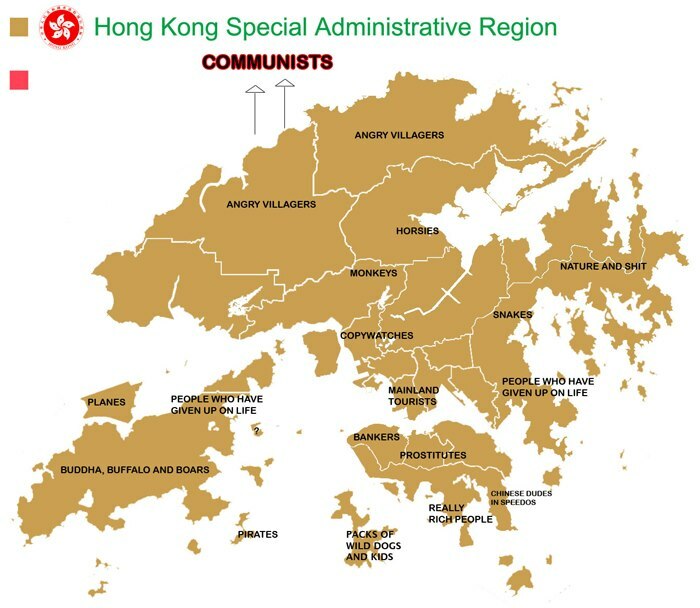 Between bankers & prostitutes: The real Hong Kong map | O hi, Asia! You may have seen similar maps of New Jersey, the US (as seen by NYers) and all these of NYC. And the motherlode of world maps from all different perspectives. Pingback: Volcano Day: Tai Mo Shan | O hi, Asia! Absolutely hilarious. Thanks for sharing. Fascinating. I lived and worked in Hong Kong for off and on for many years, especially before the take over by China. I never quite thought of the country in this way, but will never again see it as it was. Priceless!